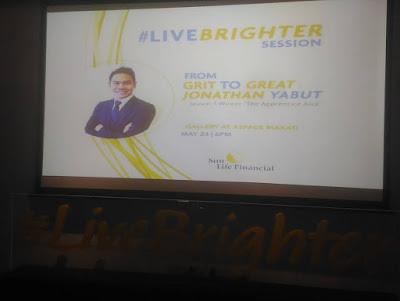 The first winner of the hit reality show "Apprentice Asia," Jonathan Yabut, graced Sun Life Financial's "Live Brighter Session," a gathering for bloggers and aspiring financial advisors, to share the story of how he rose from humble beginnings to become a successful businessman and in-demand motivational speaker. 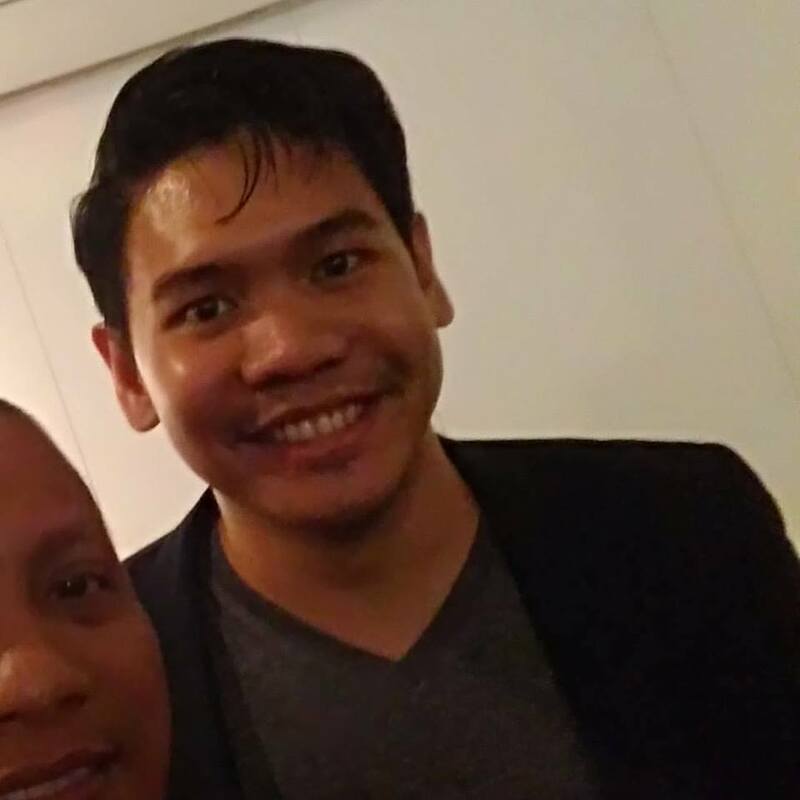 Yabut, who served as a chief of Staff for AirAsia for a year after winning in the reality show hosted by Malaysian business mogul Tony Fernandex, now runs his very own JY Consultancy & Ventures, which operates in Manila, Kuala Lumpur, and Singapore. Addressing the bloggers and aspiring advisors, he talked about the work principles that has brought him to where he is now, and also emphasized the importance of serving a social purpose. According to Yabut, the latter is what will keep one inspired to keep improving his work. Apart from Yabut, Sun Life Financial advisor JP Cruz also spoke, giving the bloggers an inside look at his own career, as well as his personal journey. He spoke about how he reached rock bottom in both his finances and his love life, and what he did to overcome the struggle. Now a successful Sun Life advisor, Cruz interestingly stressed a thought akin to what Yabut emphasized: that is to have a deeper reason for the work one pursues. In his case, Cruz finds it by helping people achieve lifetime financial security. Initially became known through his racing career, having started at an early age of 11, currently a member of ABS-CBN's Star Magic and having a pretty successful career will soon be launching his vlog on Investing and financial planning. In cooperation with Sun Life Asset Management Company, Inc he will teach Filipinos about how investing can help make their #lifegoals come true. “I’m thankful for the opportunity to lead another financial literacy campaign for SLAMC. It’s definitely relevant and timely. I myself have life goals I’d like to pursue, and I’m happy to share that ever since I ‘made it mutual’ with Sun Life, I’ve been well on my way to achieving all those goals. 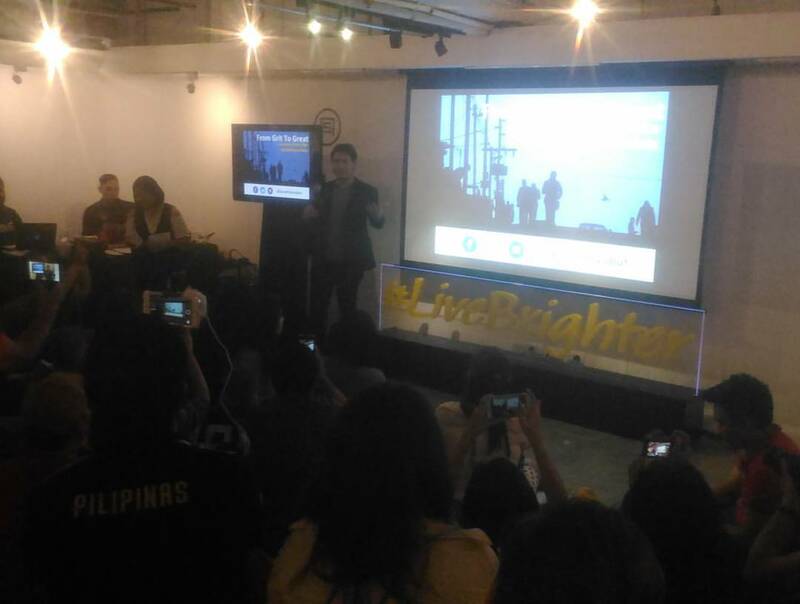 It would be great if more Filipinos can experience the same.” - Matteo said. SLAMCI President Valerie Pama said that the company is committed to helping more Filipinos discover the benefits of investing so they may reap its rewards. "We all have goals htat we'd like to accomplish, such as buying a house or a car, traveling to a dream destination or planning a wedding. All those goals require a significant amount of money and most Filipinos easily become deiscouraged knowing how much they have to raise to get their dreams. "We'd like to show them that by saving and investing in mutual funds, all their dreams can become a reality. They simply have to 'Make it Mutual'." 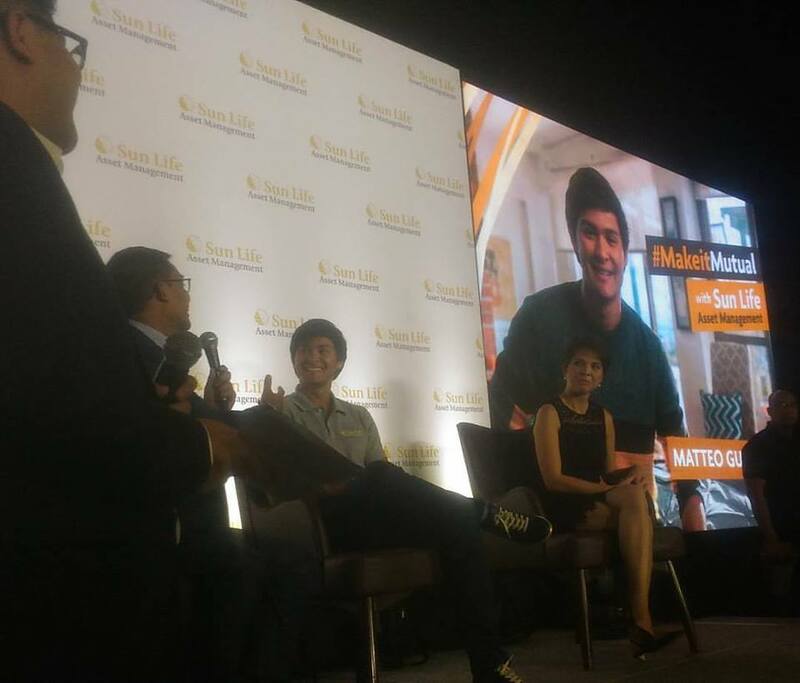 This campaign of Sun Life entitled "Make it Mutual" is first of the series of financial literacy initiatives this year. Mylene Lopa which is Sun LIfe's Chief Marketing said that the coming days will be more exciting as Sun Life rolls out its Financial Independence Month Campaign in June. "We remain committed to this cause. Sun Life is always eager to promote it in ways that are creative, relatable, easily understandable, " she said "We will never tire of advocating financial literacy to Filipinos." Sun Life Asset Managfement Co.,Inc. (SLAMCI) is the mutual fund arm of Sun Life of Canada (Philippines), Inc. SLAMCI is one of the leading asset management companies in the country with P57.8 billion in Assets Under Management (AUM) as of April 2017. It currently manages 11 mutual funds collectively called the "Sun Life Prosperity Funds"
Manāra—the Arabic word for “minaret”—is the result of the creative collaboration between internationally acclaimed sculptor and painter Toym Imao and industrial designer and installation artist Lilianna Manahan. Featuring 23 minarets and lanterns, the Manāra interactive art installation features Moro textiles, wood and metal work, music, and indigenous patterns. Manāra is a project of Ayala Foundation. Traditionally, minarets served as lighthouses, providing light to people and vessels that needed to find their way. Minarets, which are also important architectural features of mosques, are also where calls to prayer are made. Similarly, the Manāra art installation hopes to shed light on the richness and diversity of Moro culture, and in the process inspire a deeper understanding of Muslim Filipinos. At the same time, the interactive art installation serves as a call for unity—for Filipinos, even though they come from diverse backgrounds, to become more open to dialogue and cooperation. “In an increasingly digital environment, art continues to be a powerful expression of today’s realities and an important medium to convey messages of enlightenment, action, and community. 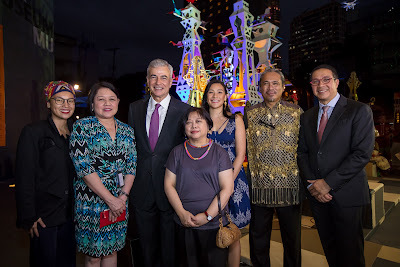 We see this interactive exhibit as an opportunity to promote awareness and further educate people about the rich and inspiring culture of Mindanao communities and the significant role the Moro culture plays in our country’s history and heritage,” Ayala Foundation Co-Chairman Fernando Zobel de Ayala said. For over 50 years, Ayala Foundation has been implementing community development initiatives in Mindanao. One of the foundation’s first projects was the Sumilao Cattle Research Project at Xavier University in Cagayan de Oro in the 1960s. 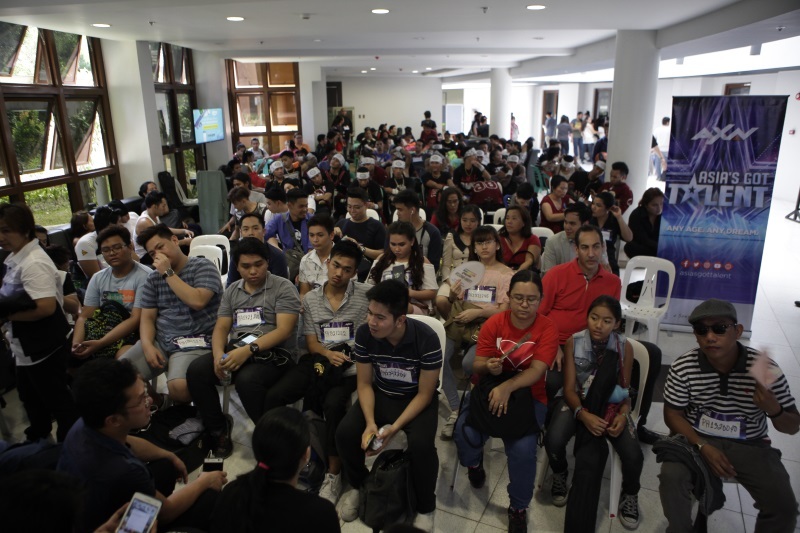 At present, the foundation has been nurturing its partnership with the Autonomous Region of Muslim Mindanao for its youth leadership program Leadership Communities, and its education program Training Institute. Ayala Foundation has also partnered with the City Government of Marawi for the community-based Siyapen Drug Rehabilitation Center, which was started earlier this year. 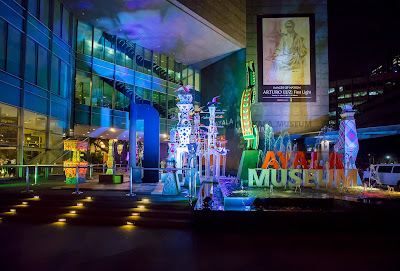 Guests are welcome to explore and interact with Manāra at the Ayala Museum Plaza from May 3 to May 30. The installation will then be brought to key sites in Visayas and Mindanao later this year. 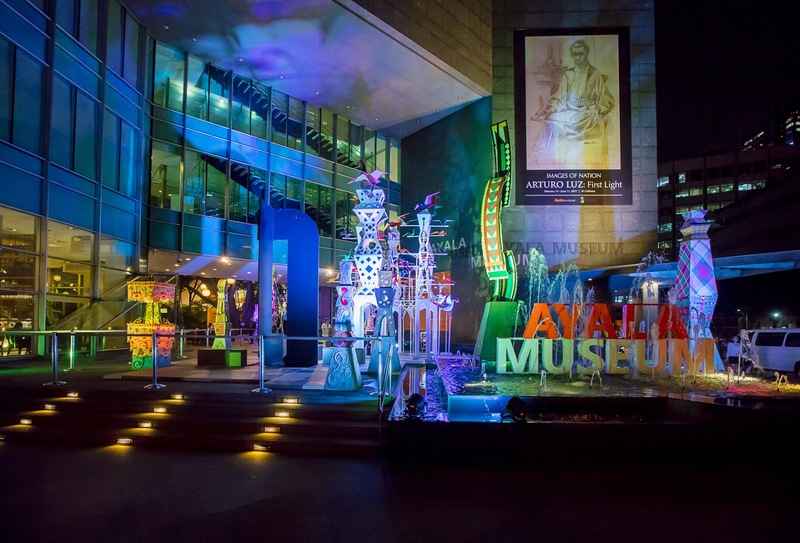 As the social development arm of the Ayala group of companies, Ayala Foundation envisions communities where people are creative, productive, self-reliant, and proud to be Filipino. 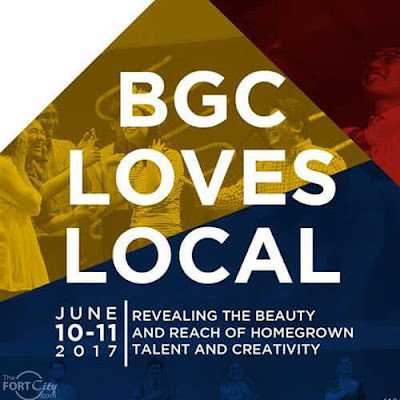 Ayala Foundation's main program areas are Education, Youth Leadership, Sustainable Livelihood, and Arts and Culture. 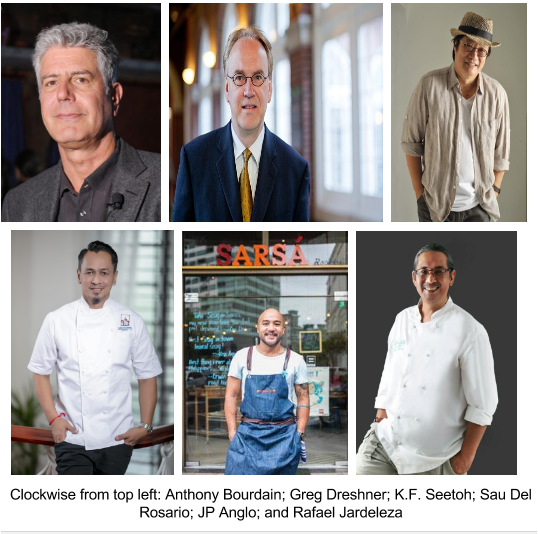 For more information, visit www.ayalafoundation.org, or “Like” facebook.com/ayalafoundation. Back in 2015, Jason Dy conquered the local music scene when he won The Voice of the Philippines season two. Since then, his self-titled debut has spawned several hit singles, and his concerts have always been sold out. Having had success in his native land, Jason is now setting his sights on the world. Jason—who has been dubbed The Philippines’ Voice of R&B—joined forces with Malaysian multi-hyphenate Fazura to record and release a single titled “Nothing Like Pag-ibig.” (They also did a version of that song for the Malaysian market titled “Nothing Like Cinta Ini.”) It was written for them by Jungee Marcelo, one of the Philippines’ foremost hitmakers, and it talks about the universal power of love. Love is universal because people from all corners of the globe and all walks of life know what it’s like to love and be loved. It doesn’t matter if we speak different languages, or if we live far away from each other. Love bonds us all. That’s what “Nothing Like Pag-ibig” is about. Because the song is about such a relatable subject, it became a hit. Not just in the Philippines, where the song was first released, but also in Fazura’s hometown of Kuala Lumpur, Malaysia. The song’s success over there was bolstered by the promo tour Jason and Fazura did recently. 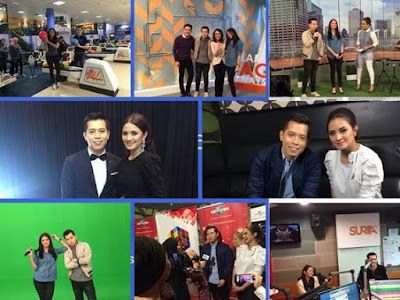 Jason and Fazura started their Malaysian promo tour for “Nothing Like Cinta Ini” on the first day of May. Jason—who already had a fanbase in Malaysia because MCA Music released his single there too—gathered some of his fans at a bowling alley, where they played against Fazura and her fans. 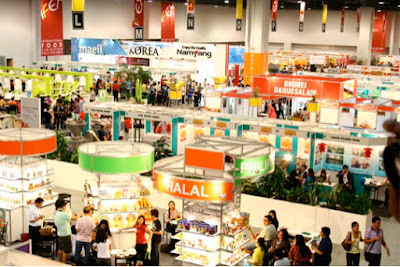 It was a good thing that Jason and Fazura’s Malaysian promo tour got off to such a fun start, because the following day, May 2, was a very busy one for them. They got up early to perform “Nothing Like Cinta Ini” on Selamat Pagi Malaysia, which is the top morning show in Malaysia. (It’s like that country’s version of ABS-CBN’s Umagang Kay Ganda.) Jason and Fazura followed that up with another performance on a popular women’s show called Wanita Hari Ini. Then, after a radio guesting on iM4U fm—a youth-skewing radio station in Malaysia—where they talked about what it was like for them to collaborate on “Nothing Like Cinta Ini,” Jason and Fazura performed on H Live, a music show produced by Astro, Malaysia’s number-one cable provider. May 3 was Jason and Fazura’s last day promoting the song in Kuala Lumpur, and they spent it talking to the people at Radio Suria FM, as well as select members of the Malaysian entertainment press. After a new karaoke version of the “Nothing Like Pag-ibig” music video was launched at RedBox Malaysia, Jason and Fazura attended a Media Conference. On May 4, Jason and Fazura flew to Kuching, Malaysia, where they appeared at the opening night of the ASEAN International Film Festival & Awards. The next day, they visited different radio stations, including Cats FM Sarawak Radio, Era FM Sarawak Radio, and Hitz FM Sarawak Radio to talk about the song. 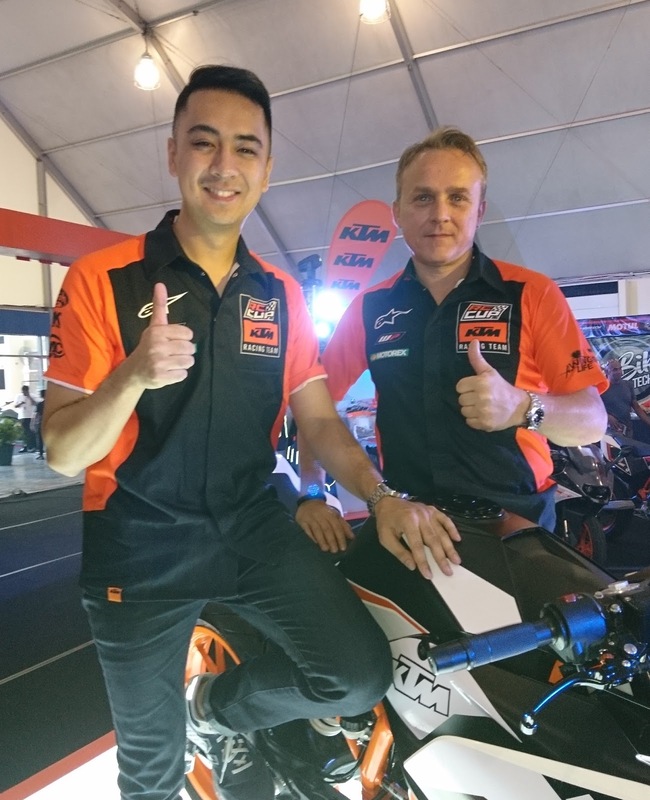 May 6 was Jason’s last day in Malaysia, and he definitely ended his promo tour in a big way. 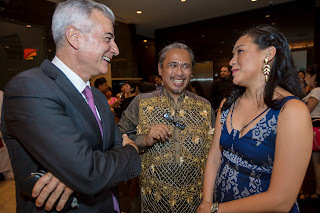 He and Fazura sang “Nothing Like Pag-ibig” at the gala night of the ASEAN International Film Festival & Awards. Jason was the only Filipino invited to sing at that event. However, some Filipino celebrities—Benjamin Alves, Cherie Gil, Jaclyn Jose, Marlo Mortel and Nora Aunor—did get to watch with pride as he did his thing. Star Wars actor Donnie Yen was also in attendance, as were other noted actors and actresses from all over Southeast Asia. It’s one thing to succeed in one’s home country, as Jason has done. Since he won The Voice of the Philippines season two, he has established himself as a force to be reckoned with in the OPM scene. But it’s another thing, a big thing, to find success beyond our borders. Jason is already a star in the Philippines, but as the success of his recent Malaysian promo tour shows, he’s making the right moves towards global recognition, too. The 40 lovely candidates of Binibining Pilipinas 2017 were warmly welcomed during a courtesy call at the corporate offices of AXA Philippines and its non-life insurance subsidiary Charter Ping An. 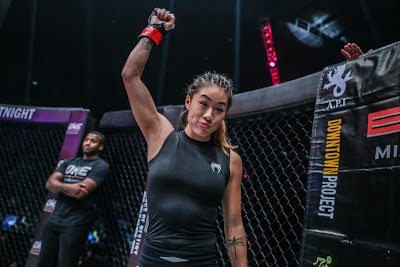 For nine years now, Charter Ping An has been the official insurance provider of the prestigious beauty pageant, sponsoring the full personal accident, medical reimbursement, and travel insurance coverage of the candidates here and abroad. Claude Seigne, chief general insurance officer of Charter Ping An, welcomed the candidates, and shared some insights about how they can protect their future as early as now, by investing their earnings properly. Also present to greet the candidates were AXA Philippines chief customer officer Amor Balagtas, AXA General Insurance chief technical officer Peili Zhang and AXA General Insurance head of transformation Marc Gorospe. The highlight of the event was the awarding of insurance certificates to the candidates, and the candidates expressed their appreciation for the assurance that being covered for eventualities has given them. 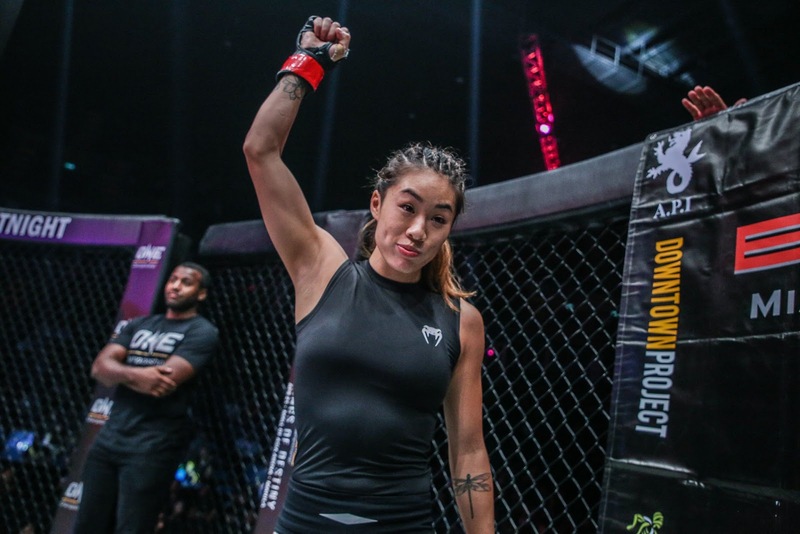 The sponsorship is a reflection of AXA Philippines’ firm commitment to empower its customers to live a better life through its full range of insurance products to suit their needs and lifestyles. AXA Philippines is one of the leading and fastest-growing life insurance companies in the Philippines. It was borne out of the formidable synergy between Metrobank, one of the foremost financial institutions in the Philippines, and AXA, a global leader in insurance and asset management serving 107 million customers in 64 countries. At present, AXA Philippines has more than 800,000 lives insured and covered by individual policies and group life insurance. AXA Philippines has more than 3,000 financial advisers in 37 branches and 693 financial executives in 938 Metrobank and PSBank branches nationwide. In 2016, AXA Philippines entered the non-life insurance business with the acquisition of Charter Ping An, the 5th largest general insurer in the country.